currents, silting, wing dams, fewer anchorages, and barge traffic. If not, you may be in for a few new challenges on the rivers. Proper planning however, promises the safest most adventurous, enjoyable voyage. realize it is more then worth the few unwanted surprises along the Gulf and Atlantic ICW just to get to this part of the journey. 19’ 6” bridge we all must go under in order to reach the Mississippi River. Ohio, Cumberland, Tennessee, and the Tennessee-Tombigbee Waterway. Your destination of course, is the Gulf of Mexico. electric Asian Carp barrier field at Mile marker 298; you will soon find yourself on your way. . .
same manner as it did the original steamboat settlers. walk on the very battlefields on which they fought. of boundless beauty . . .
than from a slow boat? more to do with needing less, than it does with having more. For Loopers, it is important to know your vessel's fuel range in GPH (Gallons Per Hour) not just MPG (Miles Per Gallon). 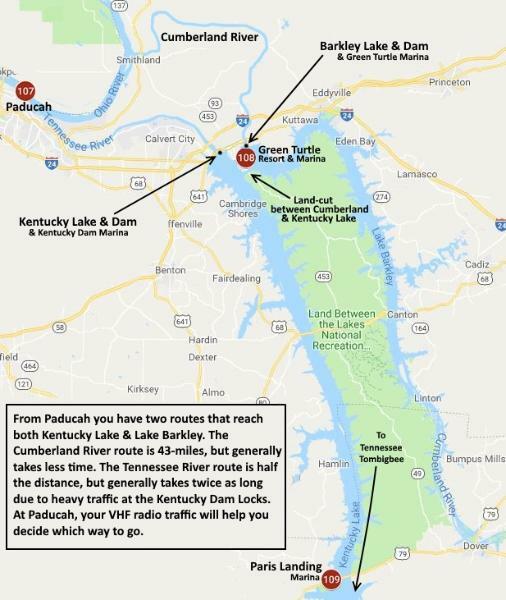 before you reach Paducah. Why? Orleans. If Hoppies closes, this fuel range will increase to 235-miles from Alton or 252-miles from Grafton. boats with a small fuel tank may need to plan on carrying extra fuel in jerry-cans. So, you need to know your vessel's fuel burn rate based on hours, not just miles. America's Heartland just when God starts painting colorful masterpieces across the landscape? 2014? And, he just took his #1 Best Selling Book off the market. WHY? In his own words: "It wasn't good enough! 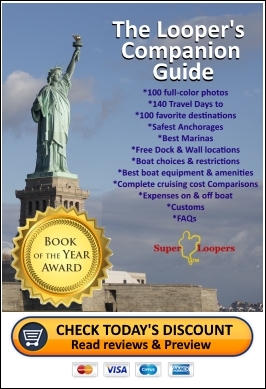 The Looper's Companion Guide puts it to shame!" and his team of Super-Loopers years of Looping experience and the past two years to produce with a final "working 2018 confirmation voyage"
his taking his previous best seller of the market. one's self and one's boat for cruising the Loop. But, that's not the most revolutionary part of this book! pet friendly, have on-site or nearby restaurants, and/or provide courtesy cars or free shuttles and discounts to Loopers. In addition to safety and fuel economy. . . 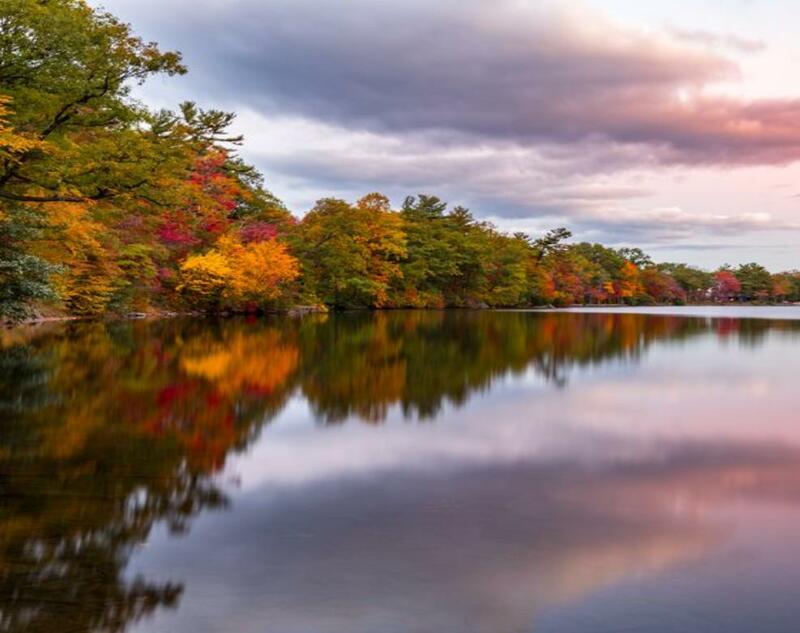 This is reason #37 - why we highly recommend cruising America's Great Loop by the preferred boating season. Here, we are anchored out on Kentucky Lake at the peak of Fall foliage. interesting places and gives us the top ten most popular (and more lengthy) side-trips. Whether you are cruising in a fast boat, slow boat, and have a long or short fuel range, Capt. You won't just be happy with "The Looper's Companion Guide" - You will be THRILLED! WHO EVER HEARD OF ANYONE TAKING A "BEST SELLER" OFF THE MARKET? Capt. John did exactly that! 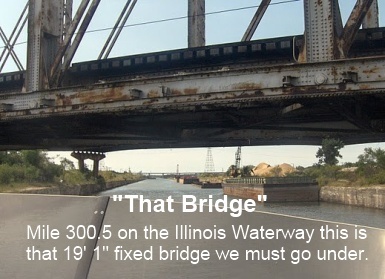 the Chicago Harbors start closing for the winter.